Save 10% on a la carte pricing with the purchase of a print collection. Here are some of our most popular holiday products. 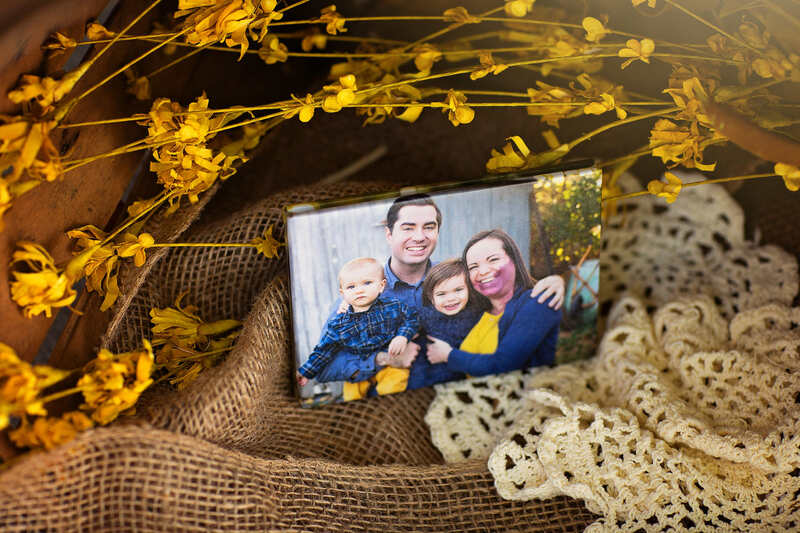 Save 10% when purchased as add-ons to a print collection. To view our full list of print and digital products, please visit our Product Guide. Brag books make great gifts for family - especially grandparents! 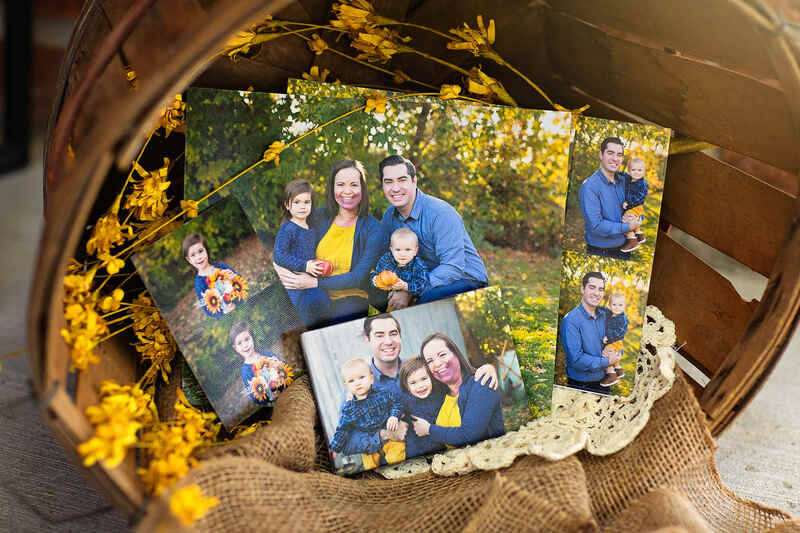 They are compact and house up to 8 beautiful images from your photo session. 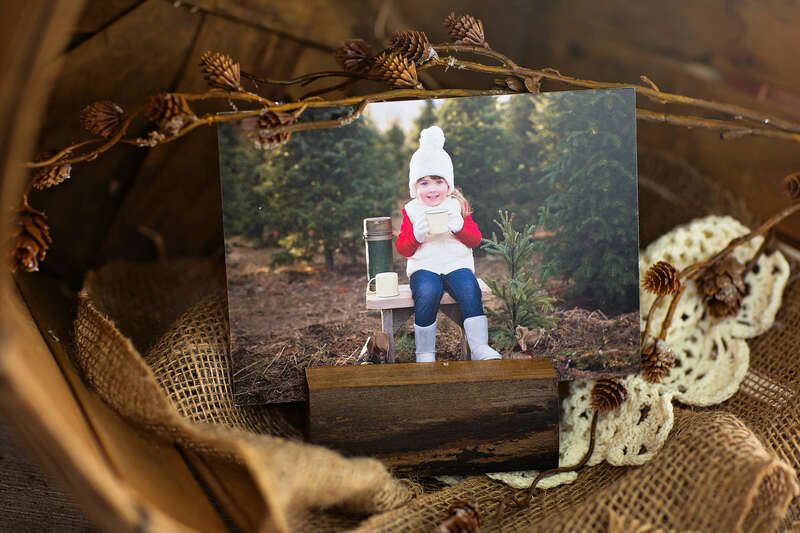 Add a little ooh-la-la and durability to your prints with our mounted fine art prints which can be placed in a frame or look quite festive displayed on one of our unique wooden blocks. 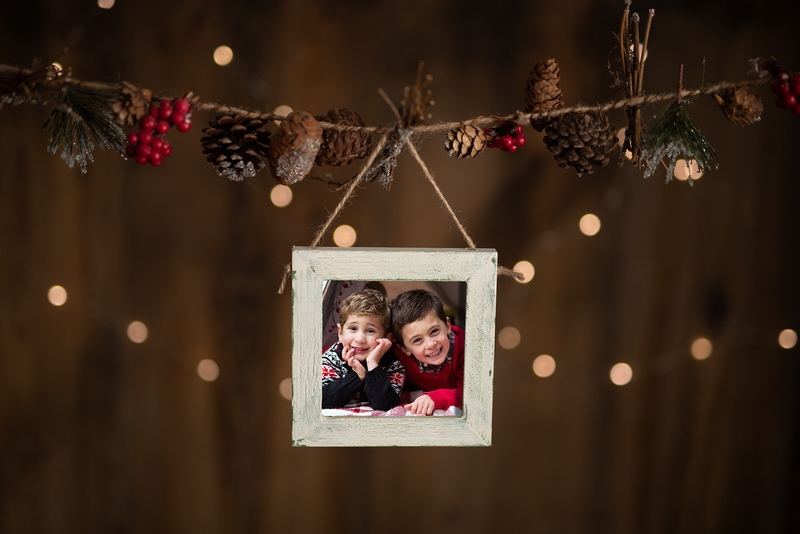 A fun and festive way to display your holiday memories! 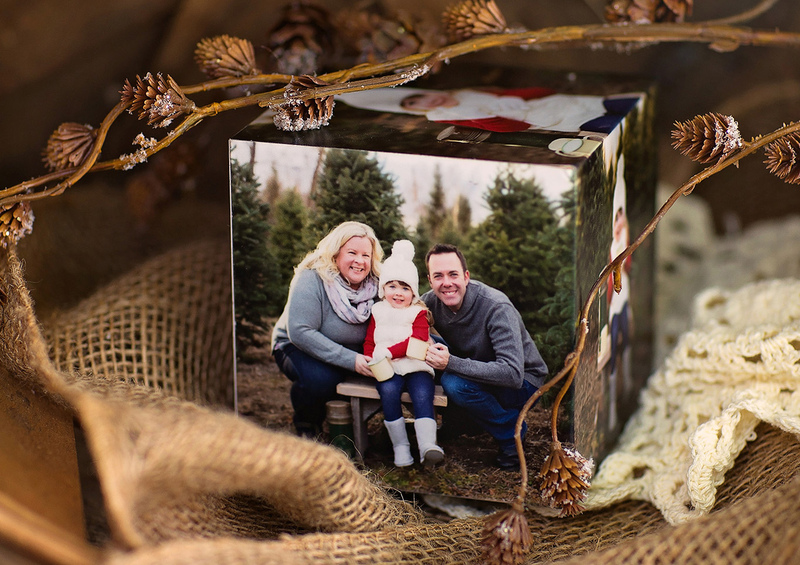 This 4" photo block delightfully displays 6 photos from your photo session. Makes a great gift or keepsake! 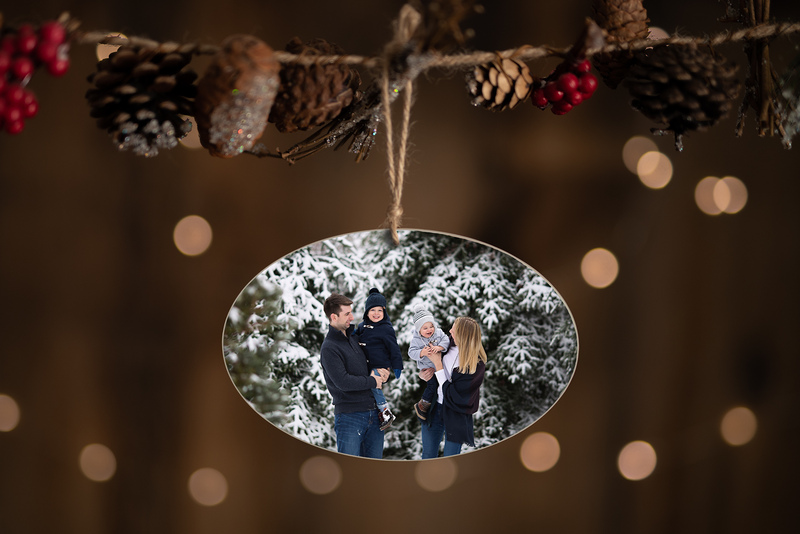 These unique, durable and beautiful ornaments are the perfect way to display and enjoy your memories this season and for may seasons to come! Available in four frames, plain squares, or ovals. 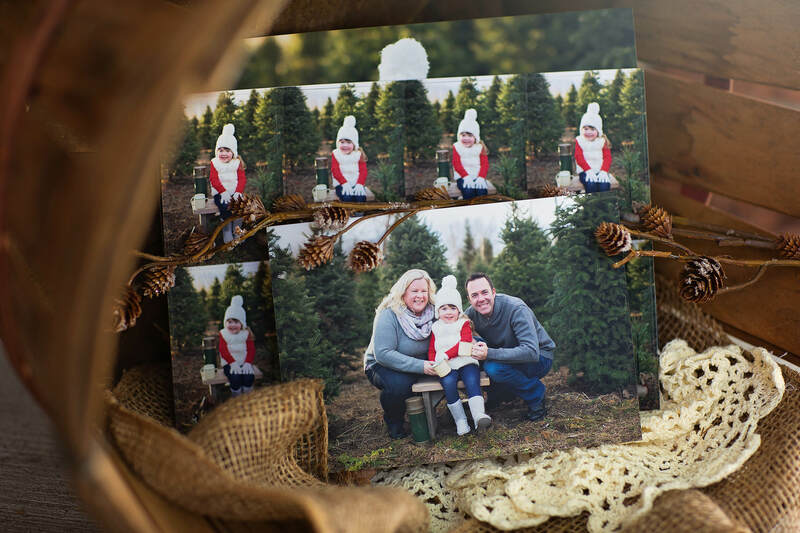 Wow your friends and family this season with custom and unique holiday greeting cards. A wide variety of styles and sizes to choose from. Premium quality envelopes included. 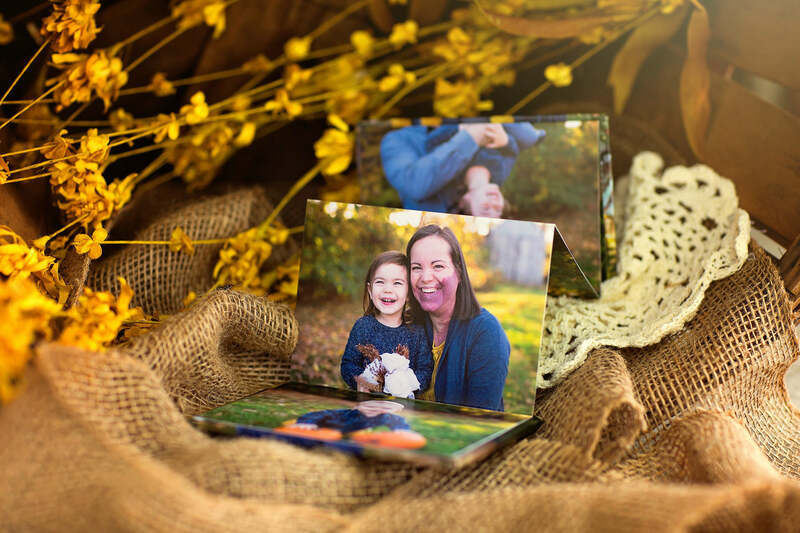 There is no way to preserve your memories like a professionally printed photograph. 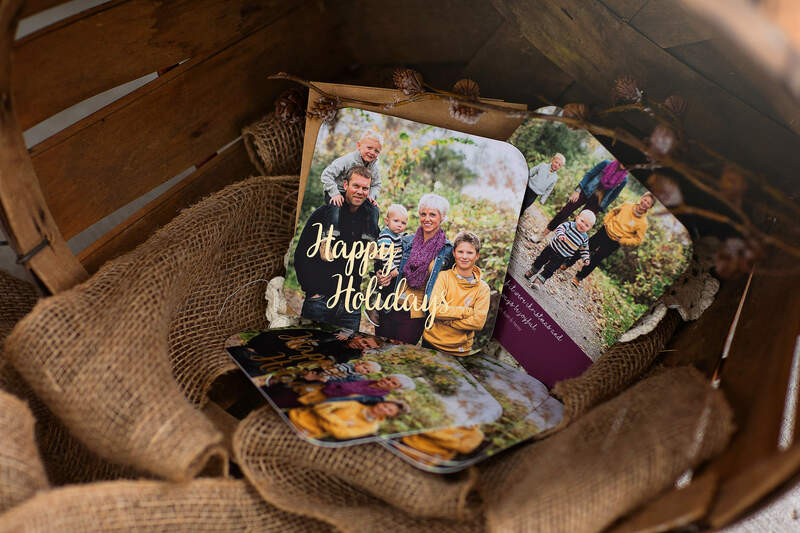 Available in a variety of sizes including wallet-sized prints which are perfect for passing along with holiday greetings. 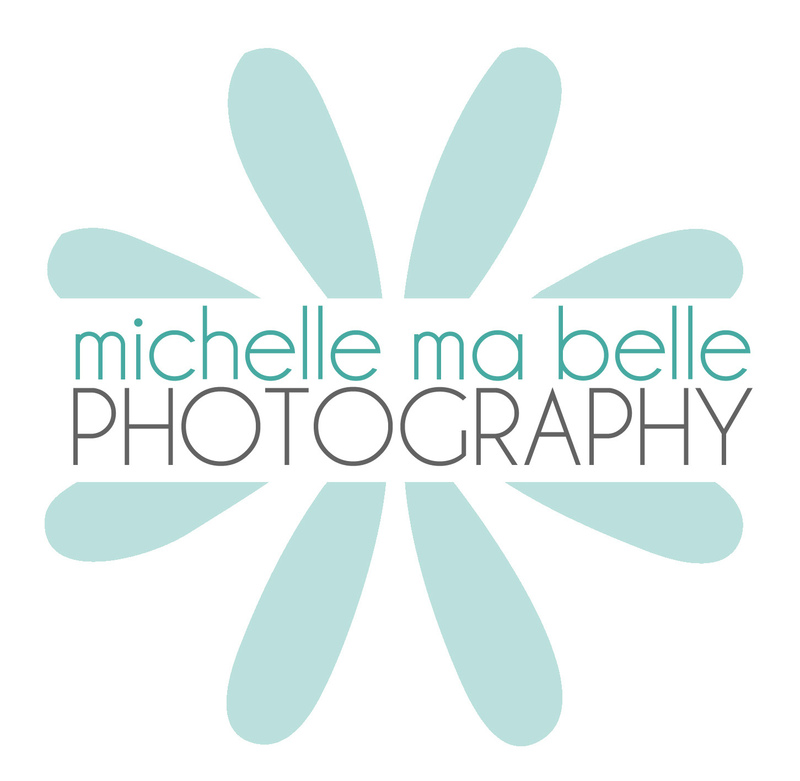 Interested in booking a photo session with us? Use the button below to learn more about our services and access our online booking tool. If you have a special order request or wish to request a custom quote, please contact us.